With over 160+ years of combined experience, your smile is in good hands. Our team greets every patient by name to to keep our family atmosphere alive! Gefrey is pleased to be able to offer beautiful smiles to his neighbors in Plymouth and the surrounding communities. He is excited to meet you and discuss your dental needs. Dr. Rasmussen earned his dental degree from the University of Minnesota School of Dentistry, after earning his bachelor’s degree from Concordia College in Moorhead, Minnesota. Dr. Rasmussen completed a postgraduate program in esthetic dentistry at the University of Minnesota, and attended the prestigious Pankey Institute for additional advanced dental education. His interest in ongoing education, such as his training in CEREC for one-visit dental restorations and his more recent extensive, professional development in Implant dentistry, allows him to incorporate the up-to-date treatments into his practice to you the smile of your dreams. Dr. Rasmussen is an active participant in the community and also maintains professional memberships in the American Dental Association and the Minnesota Dental Association. He and his wife Wyayn, have four grown daughters, and in his spare time, he enjoys cycling, basketball, and snowmobiling. Denise is the newest member of our dental team. She has been in the dental field for over 20 years. She is the warm, welcoming smile that greets you and the friendly voice on the phone. Denise will help you with any insurance question to making appointments. Denise is married and has two boys that keep her busy. In the almost 20 years with Dr. Rasmussen, Gina has become a favorite among our more anxious patients. Her gentle and understanding manner makes it easy to see why. 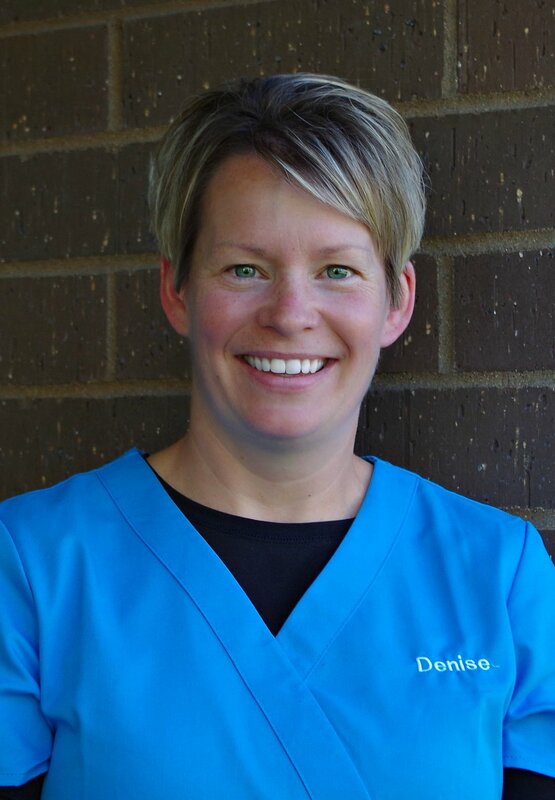 “I love what I do and try to make patients feel comfortable and at ease, I know having dental work can be a very stressful experience, and that is what I am here for.” She also knows that our patients are in good hands and that only the highest quality materials, procedures and laboratories are used here by Dr. Rasmussen…. Only the best! Tasha has over 20 years of experience in dentistry and loves providing quality care and building relationships with patients. She also enjoys walking around the lakes, reading, and traveling. She volunteers and has participated in "Feed My Starving Children" and "Give Kids a Smile." You can also find her attending her son's football and basketball games. Connie has 17 years of experience in the field, 9 of them here with Dr. Rasmussen. She has come to know our patients well and is happy to assist them with any questions or concerns they may have. She is very excited to be part of a team that cares so much for their patients, both professionally and personally. She loves to see how Dr. Rasmussen can take a very anxious patient and make them feel so comfortable and at ease. Risha has been working alongside Dr. Rasmussen for 20 plus years and loves the close knit environment here, where our patients are greeted by name and treated like family, not only with a gentle touch but with state of the art technology, delivering the absolute best in dental care! When she is not busy helping Dr. Rasmussen create beautiful smiles, she enjoys the outdoors and traveling with her husband, son, daughter and her spoiled little goldendoodle Stella!